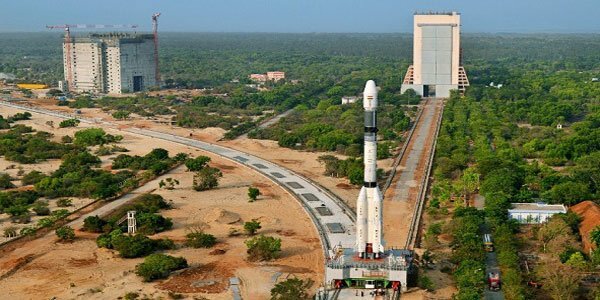 International desk – India is all set to launch South Asia Satellite Friday to provide communications service to six of its neighbours. Prime Minister Narendra Modi is scheduled to launch the communication spacecraft from Sriharikota off Andhra Pradesh on in the evening, according to media report. The South Asia satellite, funded entirely by India, was announced several years ago with the intention of serving all eight members of the South Asian Association for Regional Cooperation. The more than $36 million project does not, however, involve Pakistan, which pulled out of the project, thanks to an obsessive hostile relation with India. The satellite project comes at a time of heightened tensions between the two countries. This week, India accused Pakistan of mutilating the bodies of two of its soldiers in the disputed territory of Kashmir. Last year, militants from Pakistan killed 18 Indian soldiers in an attack on an Indian army base. Lele said Pakistan’s backing out is a missed opportunity for Islamabad. “Problems on earth shouldn’t affect relationships in outer space,” he was quoted to have said by CNN. “India has done satellite launches for countries commercially but never utilised them as a foreign policy tool. Space is no more just a science and technology domain — it is being seen from a strategic and foreign policy perspective,” said Rajeswari Pillai Rajagopalan, head of the Nuclear and Space Policy Initiative at the Observer Research Foundation. Experts say the move is also designed to counter China’s growing influence in South Asia. In 2011, Beijing launched a communications satellite for long-time ally Pakistan, followed by the launch of another for Sri Lanka in 2012. Friday’s launch will enable the new satellite to provide telecommunications, disaster management and weather forecasting services, among others.